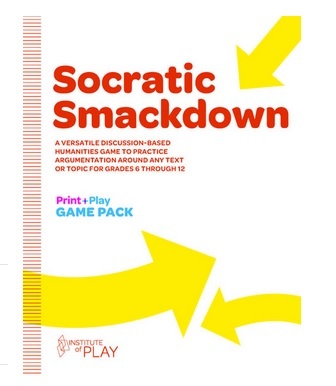 “Socratic Smackdown” Looks Fun & Interesting – If You’ve Tried Using It, What Do You Think? 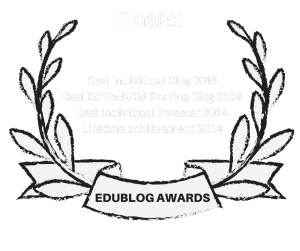 I’ve had limited success with using Socratic Seminars, though I know others have had far more positive experiences (see The Best Resources Sharing The Best Practices For Fruitful Classroom Discussions). Kristen Swanson today shared an intriguing tool she found called Socratic Smackdown that might be a good way to introduce the concept to students, especially younger ones (by that, I mean ninth-grade and below). It’s basically a “gamified” Socratic Seminar. I’ve embedded a video about it below, and I’d love to hear from teachers who’ve already used it. I’m considering giving it a try this year…. I’ve used the Socratic Smackdown with my 4th and 5th grade ELLs in Denver Public Schools. It’s been great! I modified their format to make it work in my class. I have a focus question (e.g., Was Lady Macbeth evil, or just greedy?) and kids work in teams for each position. When I have 6 kids (3 of each position) ready to go, I do a smackdown with them while the others keep getting prepped with the texts and graphic organizer I have given them (so I don’t do the fishbowl). I actually score the kids (instead of kids scoring kids) b/c I use the Smackdown as an assessment. It’s only 6 min for each group, so I can get through the whole class in one session. When they are done with their smackdown, they go work on missions that we return to across the year while I do the Smackdown with the other groups. Over the year, shyer kids have come out of their shell and it lets us develop accountable language as well as justification and evidence discovery skills. I love it! I have used Socratic Smackdown with my 4th and 5th grade GT students. The students do score each other. They use the paper forms during the discussion and then electronic ones to collect the data. The students asked for more time, so we do it for 10 minutes. They really enjoy it, and like the competitive aspect. 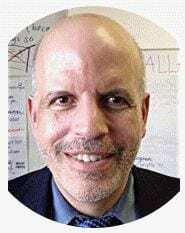 I recently came across CommonLit.org through Richard Byrne, and have mentioned on my blog (Engage Their Minds ) that I would like to use the resources on there with a Socratic Smackdown.